Ronald Reagan died 10 years ago today. 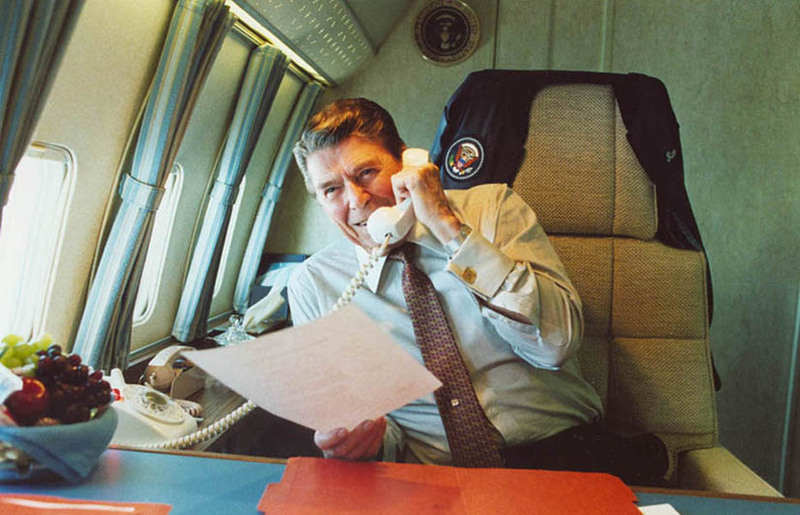 While I’m too young to remember his presidency, over the years, I’ve learned a lot about Reagan, and I believe that he is the greatest president in modern American history. Did he make mistakes? Of course. I look at Obama and I see him doing absolutely nothing to promote freedom of liberty. What has he done to advance freedom? What areas are freer today than in the past? I ask again, where are we freer because of Obama? I can only think of areas where there’s more government expansion. Where states rights are diminished. Where the government takes over industries like health care. The interference and regulations on us having access to our own natural resources. Reagan never declared a war. He only had troops involved in situations on three occasions during his eight years as president. But he still valued building up the military and had a philosophy of peace through strength. A belief that when the freest nation was the strongest nation, it kept tyranny in check. Today, as China is continuing to strengthen their military and as Russia is building there’s back up and seizing territories in Europe, we are scaling our own military back. And while some might look at spending that was too high or the Iran Contra situation, I would much rather have a Ronald Wilson Reagan than a Barack Hussein Obama leading our country today.